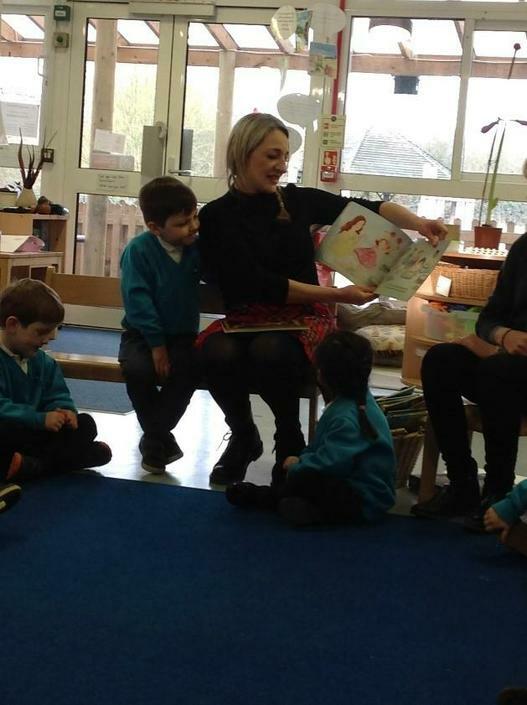 Our Nursery children will have a Family Learning book. This will be returned to school each Wednesday please and will be sent home on a Friday. 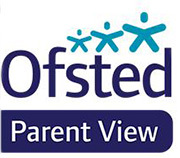 We will send home a weekly update on learning themes and may suggest family activities to support learning in school, suggest resources to collect or a question to ponder. These tasks will be fun and engaging - however they are not compulsory! Please also use this book to share those “WOW” moments at home, your own observations and feedback are invaluable to build a holistic view of your child’s development. No uniform required, In Nursery we simply take off our shoes and socks for PE. 2. What is going on in Ducklings class? For the Festive Season we learnt songs and performed outside to our special adults, we baked mince pies for them to enjoy. We used our cutting and mark making skills to create cards for special people and we printed with shapes to create a calendar. 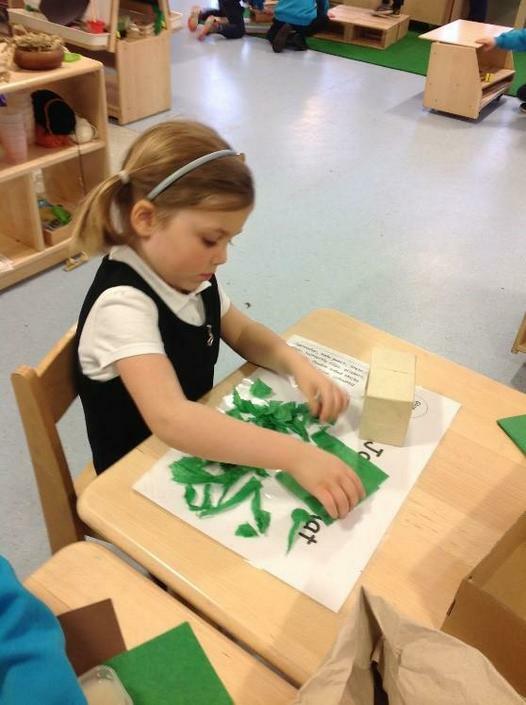 Our shape work continued as we read 'Rosie's Walk' we made our own farm buildings out of wooden blocks and junk modelling. We went on a shape walk outside and the children saw lots of shapes. We even tried moving like Rosie the Hen, going under, over and through objects. 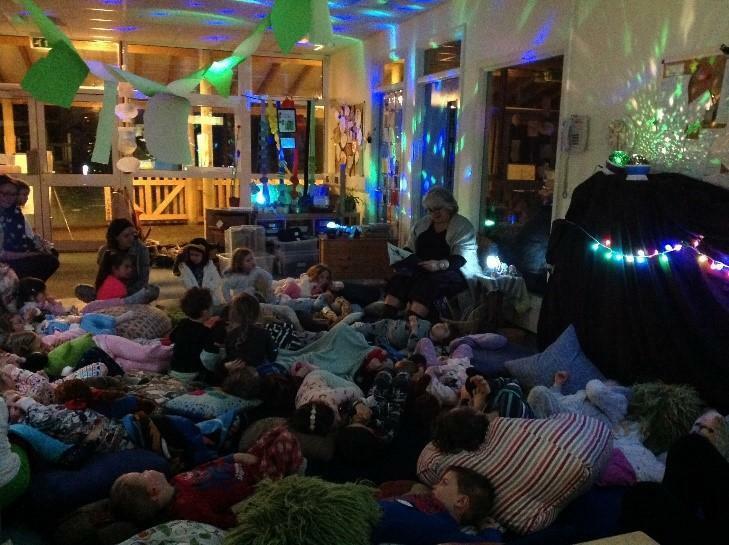 On a Friday evening in January, we returned to Nursery to enjoy cosy bedtime stories in the classroom, dressed in pyjamas and snuggled under blankets. We listened to various stories and drank hot chocolate. 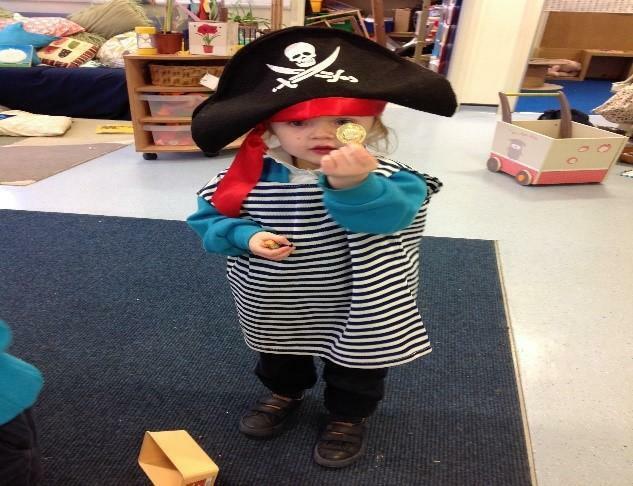 Pirates have taken over Nursery! 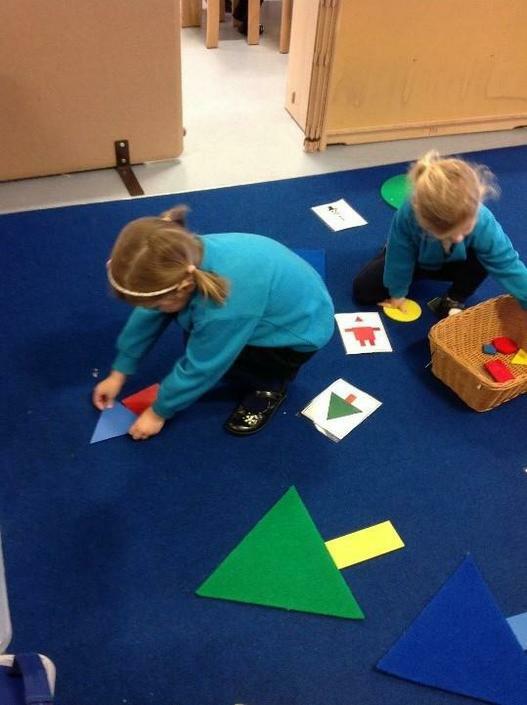 The children have been counting treasure, drawing treasure maps and building galleons out of crates. 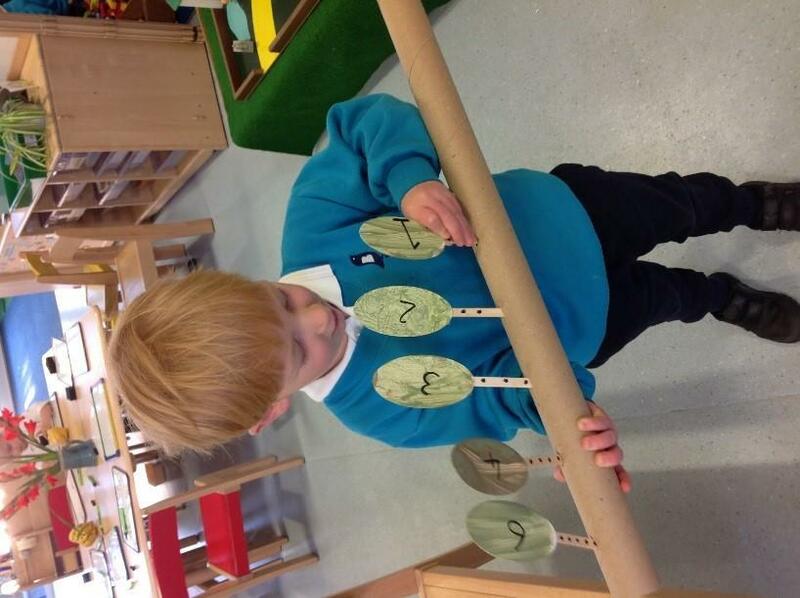 To aid our pirate adventures the children have made telescopes and discovered buried treasure in the sand. We had a special visitor to tell us all about Burns' Night and how it is celebrated in Scotland. We listened to a Robbie Burns poem and sampled 'tatties and neeps' as well as shortbread. We looked at Stewart Tartan and looked at where Scotland is and where we live in Berkhamsted. 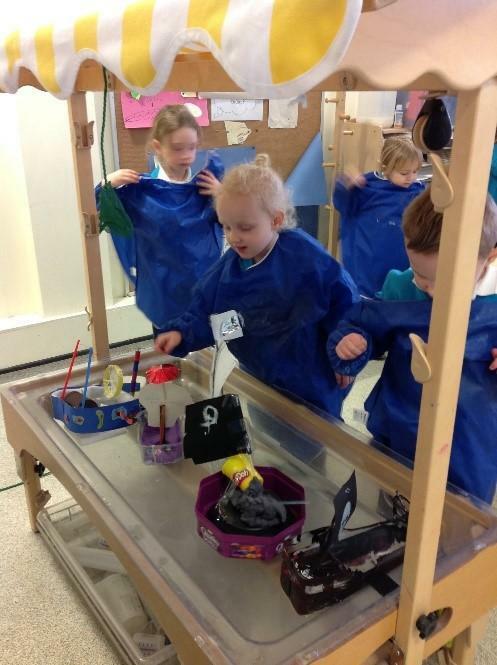 The children have settled into Nursery and have enjoyed exploring all areas both inside and outside. 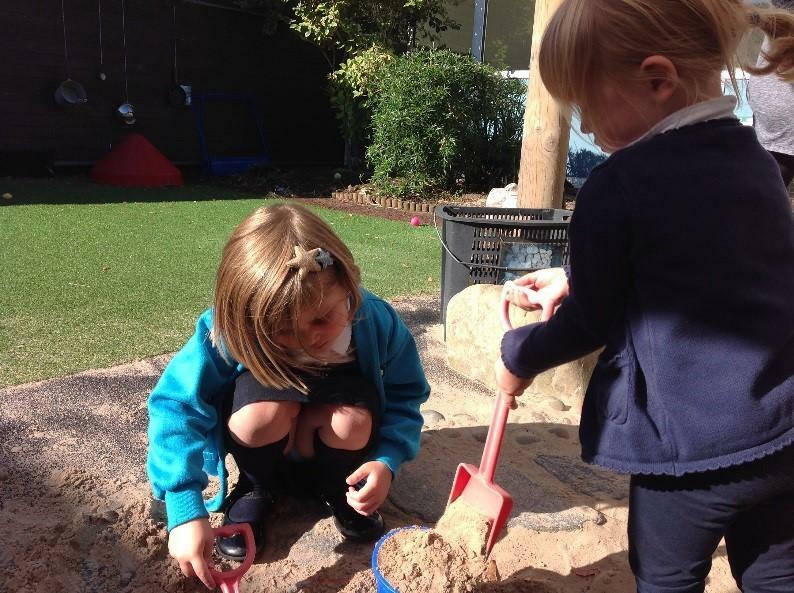 The sand pit always proves popular, the role play area and 'Dinosaur Island' were all activities the children chose to play with. 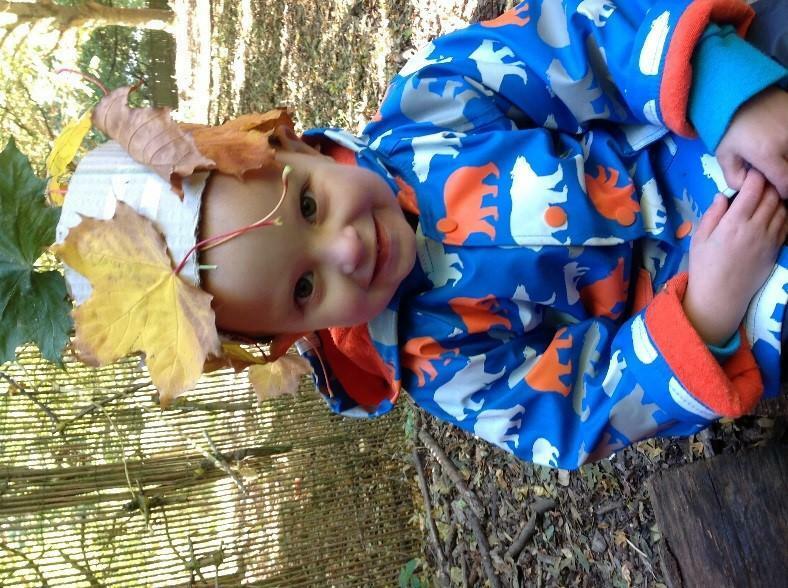 Adventures in Forest School include making leaf crowns, building a fire and enjoying hot chocolate. 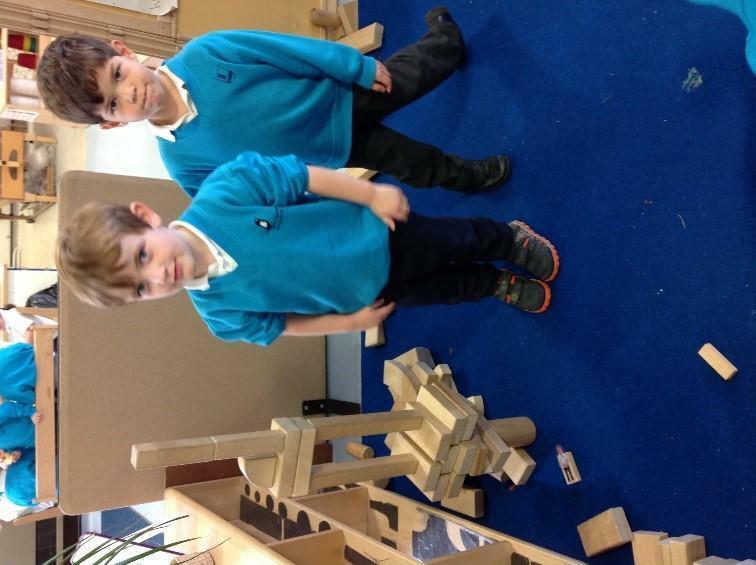 We have been 'huffing and puffing' with the big, bad wolf as he tried to blow down the houses of the 3 Little Pigs. 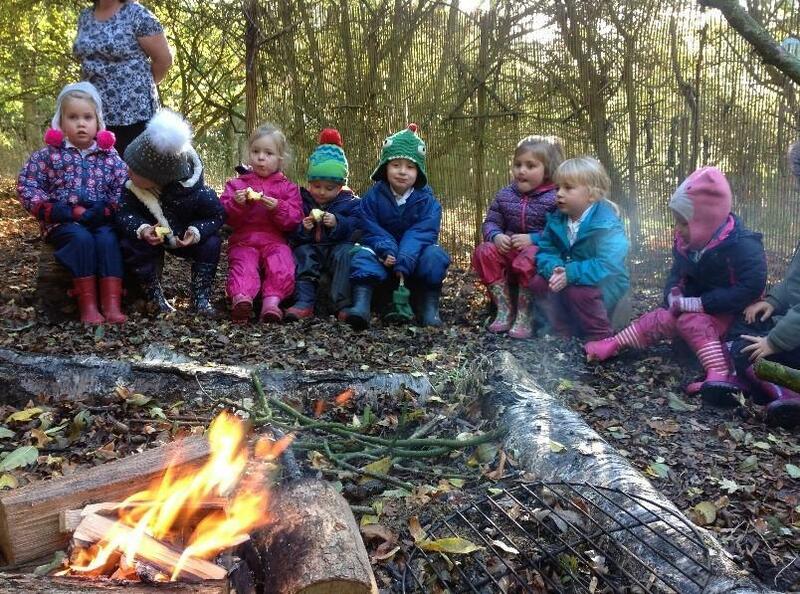 We have built houses out of sticks and bricks, we also cooked our own bread sticks to eat. Whilst reading 'Jack and the Beanstalk' we drew our own beanstalks on the playground and counted how many strides high they were, we have magic beans to count and have painted leaves for our beanstalks.